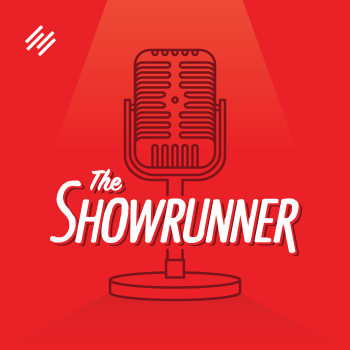 Jerod and Jonny started The Showrunner podcast on April 1, 2015, and during the past two years they’ve built a community, shared their podcasting journeys, and now they have recorded 100 episodes. As a thank you for your dedication and support, this episode is all about you and your questions. Can the everyman create a highly edited podcast, and should he or she? How do I relaunch a podcast with a bang after taking a year long break? Do you have any recommendations for what would be a dollar amount we could realistically ask from a potential sponsor? Jerod and Jonny have loved the ride to 100 episodes, and they look forward to the next 100. Welcome back to The Showrunner. This is episode No. 100. Cue the sounds of fireworks and jubilant marching bands. 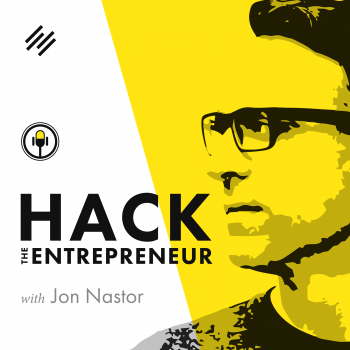 I am your host Jerod Morris, VP of marketing for Rainmaker Digital, and I will be joined momentarily by my ‘I wonder if he made special episode-100 T-shirts’ co-host, Jonny Nastor, the host of Hack the Entrepreneur. Cue the Confetti: Jon and Jerod Hit 100 Episodes! Jerod Morris: Jonny, welcome, man. Happy 100. Jonny Nastor: This is our centennial? Jerod Morris: Yeah, centennial because bicentennial is 200, so centennial is 100. Jonny Nastor: That’s going to be a ways away still, but yeah, it’s cool, man. Episode 100. Jerod Morris: Are you as confident about us getting to episode 200 as you were about us getting to episode 100? Because on last week’s episode, you said, when we started this show, you just kind of figured we’d get to episode 100. I agreed, which is why we used the naming convention with three numerals for the names, which was very presumptuous. There’d be no reason to do that if you didn’t expect to get to a triple-digit number, which we have. So that has made that decision look like the right one. What do you think — are we going to make it to 200? Jonny Nastor: I don’t know if we’re going to make it to 101. Jonny Nastor: We used the three digits. That was kind of, I think, our point. Jerod Morris: That’s true. So this is it. This is our last episode, and we’re going to go out with a bang answering your questions. Jerod Morris: We hope to be doing this for a long, long time because we, Jonny, I think both you and I agree. We really enjoy talking about podcasting, helping people with their podcasts. You and I just got an email earlier. It was actually from Chris, who we talked about in last week’s episode. And he was so excited. His ebook was just up on Amazon, and he was telling us. Emails like that, we love getting them, and we’ve gotten so many, just as part of hosting The Showrunner. We love it, and that’s why we continue to do it. I think that we will continue to do it for the foreseeable future. Very excited to be at 100. Very excited about what lies ahead. 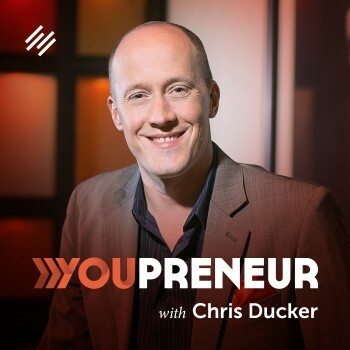 For this week’s episode, I’ll harken back just a couple episodes ago, to episode 98, when we talked about a proven podcast formula, a format that is proven, is tried and true, and maybe you aren’t using it enough. We didn’t think that we’d been using it enough, so we’re going to use it on today’s episode, a Q&A. We put out a call for questions. We got many, many questions. We chose some of the best ones, and we plan on doing this more in the future. But this episode is dedicated to you, so we wanted to answer your questions. That’s what we will do for the rest of the time that we have with you this week. What do you say, Jonny? You ready to answer some questions? Jonny Nastor: I am ready to answer some questions. Jerod Morris: All right. I’ve got a question for you, real quick, right after we begin. All right, so here’s my question for you, Jonny — what is on your T-shirt today? What is your special 100th-episode T-shirt? It’s beneath a zipper, so I don’t know, as we’re recording this. It’s not profane, is it? Jonny Nastor: I don’t even want to say. No, it’s not … well, kind of. It’s an AWeber T-shirt. Jerod Morris: Oh, is it really? Jonny Nastor: I don’t use AWeber. I haven’t used AWeber in like eight years, but they gave out really nice shirts at one point that are really comfortable. And so I’m wearing it, but I’m wearing it under a hoodie that’s zipped up. I wasn’t expecting somebody to ask me to say what it was. Jerod Morris: And this is why sometimes maybe you want to vet these things with your co-host before you ask him live during a recording. Jonny Nastor: So it’s a slight profanity within the email marketing space. It’s not actually. Jerod Morris: All right. Let’s jump in, and let’s answer some questions. I’m really excited about this first question because I put out the call on Facebook for questions, and the first person who answered was my dear Aunt Margie. She and my Uncle Larry, they live in Colorado. They are some of the most outdoors-loving people that you will ever meet in your life. And I’ve really been meaning to get back up there and have them take me on a tour. They’re the kind of people that know every wildflower in Colorado. Like you’re walking by and they can name them. It’s pretty amazing. They’re remarkable people. You may be thinking, “Wait a minute, why are you putting this question in a show for showrunners? We all know how to access podcasts.” But this question was an excellent reminder to me about how important it is to not take it for granted that all of your potential audience knows how to find and subscribe to podcasts as easily as you do. Now, for us with The Showrunner, we might assume that someone who is going to start a podcast would probably have listened to a podcast and might understand that. So maybe it wouldn’t be as important for us as it would for other audiences. But for instance, my audience with Indiana basketball, there’s a lot of people who would be interested in that content who maybe don’t fit into the normal, expected range of podcast users by demographics — when you look at some of the studies, and you see based on education level, income level, gender, and all those different things that tell us who’s more likely to listen to a podcast. That doesn’t mean those are the only people who do listen to a podcast. So this was very important. Here’s someone who wanted to listen to my show, didn’t know how to do it, and I hadn’t provided that information. So I think it’s just very important to remember and to go out of your way to make it simple and easy to find your podcast and subscribe to your podcast so that as many people want to listen are able to. And so that we all do our part to bring more people into the world of podcasting and so that we introduce it to more people. It’s one of those important things that, when we’re in this for so long, we can easily forget and take it for granted that everybody already knows how to do it. But that’s not the case, and we have some stats for a later question that are going to back that up. Jerod Morris: You’ve never heard of the term ‘neophyte’? Jonny Nastor: Am I the only one? I’m probably not the only one listening. That’s my guess. But anyway, the neophyte is a person who is new to a subject, skill, or belief. Jerod Morris: Yes. All right, so Tweet us and let us know. Did you know what neophyte meant, or did you not know what neophyte meant? We have to settle this. Jonny Nastor: This didn’t work for you last time, Jerod. Jerod Morris: It didn’t, but I’m going to try again. I am undeterred. Jonny Nastor: But this is a really good reminder. There’s actually nowhere currently on my website right now — after seeing this, it made me think — where you can subscribe to my show. 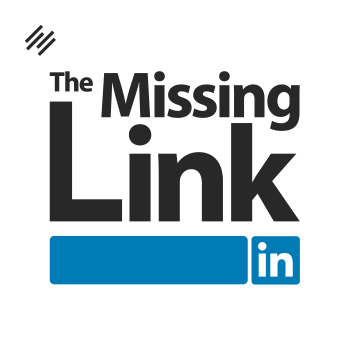 Jerod Morris: Nowhere on your site? Jonny Nastor: There’s nowhere on my site. Jonny Nastor: And there used to be. When I started, it was very much that. 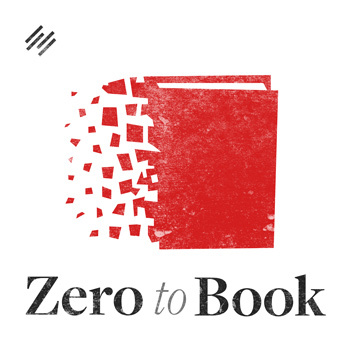 But because there’s so much else sort of happening, there’s no place, like if somebody comes, and then like, “Oh,” they read something and, “Oh, this is a podcast, too?” And there’s not like, “Go here with your iPhone,” which is crazy. I just assumed that, if you see this, you find out it’s a podcast, you want it, that you would just open up your podcast player and search it, which is completely wrong. It’s just me being in it for so long and being surrounded by it for so long that that’s how I would act, so I assume that’s how everybody else acts. But your aunt just absolutely proves the case that we need to kind of remember that sort of beginner’s mindset in these things and always make it dead simple for people to subscribe. Jerod Morris: Yeah, and as you add new places where your show is being distributed, like for The Assembly Call recently, we added iHeartRadio, and we added SoundCloud. I’m going back now and adding that. What I do is, I basically have a little text expander, so every time I post a new episode, right underneath the player, I have the logos and links to YouTube, iTunes, Google Play, TuneIn Radio, Stitcher, iHeartRadio, SoundCloud, all of them. So wherever people want to subscribe, it’s right there. And I put it at the bottom of every email, the first autoresponder email in the email sequence, the whole idea is take people by the hand and walk them around. 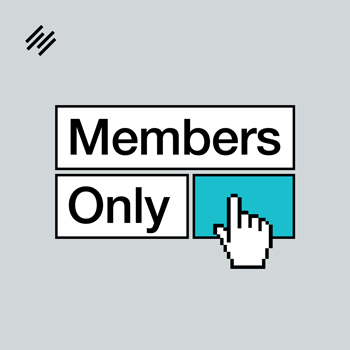 I show them where they can subscribe, all the different places, and then reinforce it on every post so that no matter when or where someone interacts with that piece of content, they’ve always got right there, “Oh, I can subscribe on all these places, great. I like listening to shows on SoundCloud, they’re on SoundCloud.” So they don’t have to worry about it. And in my header at The Assembly Call, when you scroll over ‘subscribe,’ it’s got links to all those places, too. So I think just getting in the habit of doing that and putting those there has really, really helped, and it gives people all the different options that they have. It’s not just about showing someone who’s a neophyte what to do. It’s also about showing someone who’s very savvy that you’re in all of these different places, so they make sure that they know that the place they prefer is a place they can listen to your show. All right, well, thank you, Aunt Margie, for sending that question, and hopefully you are now able to find the show. Jerod Morris: Our next question is from Chris Thompson. He would like us to compare and contrast our 100th episode with President Trump’s 100th day. Jerod Morris: Let’s just not go there. Jerod Morris: I think we’ve done a pretty good job of not putting our foot in our mouth too much and not angering people. And we didn’t cut cake to celebrate the occasion, so that’s different. Beyond that, maybe we should just stick with podcasting. Jonny Nastor: We should answer questions the way he answers questions. Jerod Morris: I don’t even know that I’m capable of doing that. Jonny Nastor: We’re doing Q&A’s, so we could ask the question, and then we could just say whatever we want that has nothing to do with the question. Jerod Morris: Whether it’s true … well, our next question, we are going to get into numbers. Let’s not even plant that seed because these numbers are true and factual. Let’s just stick with answering the questions how we normally do so that we don’t even put that thought into people’s minds. So let’s move on. So let’s take the first part of Mike’s question — the state of the market and is it still growing. We actually haven’t had a chance yet, on any of our shows, to talk about the latest research from Triton Digital and Edison. They, of course, put out their annual survey, their annual research, The Podcast Consumer, where they survey 2,000 people and give you a taste of what the podcasting market is like. I pulled a few numbers from their most recent survey, and we’ll link to this in the show notes of course, that talk about the state of the market. So here are those numbers. First, 60 percent of people are aware of the term ‘podcasting.’ They’ve heard of that term. That has actually grown 11 percent since 2015, which is really big growth, and much more rapid growth than had been happening in the few years prior. So it was 49 percent. Two years later, 60 percent of people at least know what the term podcasting means. That’s important in two respects. Number one, it shows that that is growing, awareness of the term is growing, but it also shows, holy smokes, there’s 40 percent of people that still have never even heard of a podcast. And with the way things are going and the trends, you would certainly expect for that to continue. So there’s still a huge, huge, untapped market of people that haven’t even heard the term podcasting yet. And then to go along with this, 40 percent of people had listened to podcasts, just have listened to a podcast before. So 60 percent are aware, 40 percent have actually listened. This is up from 36 percent last year, and that four percent jump is the biggest jump they’ve seen since 2012. And then finally, 24 percent have listened to a podcast in the last month, which is up from 21 percent. Fifteen percent have listened in the past week, which is up from 13 percent, and the average person listens to five different podcasts per week. So in short, the market is definitely still growing. It’s definitely a healthy market, and while it can be a little intimidating because you see all the shows out there, there’s a big growing audience and plenty of room to find your niches. So I certainly wouldn’t be concerned there. The market is growing and very healthy. Your thoughts on those numbers? Anything jump out to you? Jonny Nastor: No. I’m not sure always how I feel about the numbers. Like the numbers seem to me like they want to paint a rosy picture always. So I don’t know — is there going to be a time where 100 percent of people are going to have heard of a podcast? Or are going to listen to podcasts? Is that something we should be striving for even? Jerod Morris: I don’t know. I don’t know if it’ll ever get to that point, but it still seems like there’s plenty of room to grow. Jonny Nastor: Everybody has heard of the radio. Jonny Nastor: Everybody’s heard of television, I would assume. Is the point of podcasting to go in that direction? Is exponential growth sort of what we’re shooting for? Jerod Morris: I think we want it to grow as much as possible, people like you and me who produce podcasts and love podcasts. I would love to see as many people listen as possible. And I would love to see some of the demographics even out. Right now, if you look at the data, it shows that the podcast audience is more highly educated than the normal audience, has a higher average income than the normal audience, is split 56 percent male, 44 percent female. I would love to see the total numbers mirror the overall numbers of the United States and the world. And I would love to see us get to that point so that the podcast audience is more representative of the general audience, which, right now, it’s not really that way, if you look at the numbers. So at some point, it’ll be more saturated, but that’s a good place to be in if you’re thinking about starting a podcast right now. Jonny Nastor: Right. I guess the question I would maybe throw back at Mike is, when you say, “Are there podcast types that have a better growth opportunity? Are there still opportunities?” — what is it you’re trying to achieve? This is how I picture it. There’s a band probably starting today that in two years will have hundreds of thousands of fans create a living and business around this, which is amazing. It doesn’t necessarily mean that they’re going to break in and take Drake out or take out Justin Bieber, but that’s not necessarily the point. So markets expand … popular music did this in the ’50s and ’60s and stuff. It just became a part of our culture now where it’s not just like niche little bars with jazz and blues anymore. It’s now part of our culture fully, which helps everybody who enters that market. You see what I mean? Jonny Nastor: It’s not that it makes it harder to enter the market, not that it makes it so that you can’t reach the top, because you can even reach parts of the bottom and have a really, really successful show. So to me I think you need to kind of change your mindset about thinking of it. The market is growing, everything we’ve seen about it. Just pay attention to people you talk to. People know about podcasts more than ever. The cars are all coming out with them. Our phones all come pre-loaded with apps. There’s better search for them. There’s everything. And this is going to get exponentially and exponentially better as we go. It plays into radio and talk radio, which has been around for so long that it’s a form of media that people just generally like to consume. And that’s not going to change. So no matter how big this market gets, don’t think of it as too big for you to now enter it. Think of it as a bigger pool for you to play within. And for you just grabbing a small sliver of any of those pools, if the pool’s bigger, then your small sliver is also bigger. Jerod Morris: And I think it’s important, too, he did ask kind of a two-part question here. I think we answered that first part, “Is it growing?” Yes. Now, the rest of his question probably deserves to be dealt with a little bit differently. Because he’s wondering, “Are there podcast types that have a better growth opportunity? The higher ranking are all very edited, long-form newsy, but most podcasts coming online are still interviewing experts. 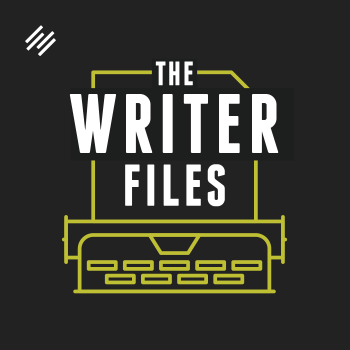 Can the everyman create that highly edited and newsy podcast, and should he or she? So when you look at the top charts, you’ll find This American Life, Hidden Brain, and a lot of shows that have really high production value. They’re NPR-type shows. They’re professionally produced, the Radio Labs of the world. Should you try and compete with those if you’re the everyman? I would say no. I would say, can you? Sure, you can. One man in his home studio could create an amazing podcast, if you want to invest the time. And this is where it goes back to what you just said, Jonny — what is your goal? What are you trying to build an audience around? What are you trying to do? 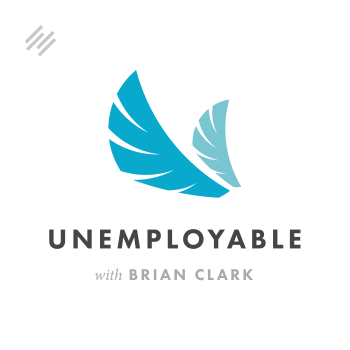 Are you trying to work at This American Life? Then, hey, try and create the most This American Life show that you can on your own. But that’s going to be very difficult, and I wonder if you’re going to get the return on the investment of time and resources that it will take if that’s what you do. One of the reasons why most of the podcasts coming online are interviewing experts is because that is a relatively cheap format to produce, just in terms of the time that it takes to produce it. You don’t have to do a whole lot of post-production on it. And because for a lot of the shows that you and I do, Jonny, and that the people who listen to The Showrunner produce, which is podcasts as part of a content marketing mix, the interview serves that purpose very well. Because you are creating educational content that teaches the audience something useful that they need to know to further their relationship with you, which is why you use content marketing. And because it helps you build your network. It gives you the kind of content that you can repurpose and use in a lot of different ways. So there are a lot of reasons why the interview format or kind of a format like us, having two co-hosts, why that ends up being used, because a lot of times, you’re able to get a better return on the investment in the long term and quicker. Again, it can be intimidating when you look at the charts. I wouldn’t worry about trying to compete at the upper levels of the podcast charts because that’s going to be very hard, and you don’t need to, to find success. You can have 400, 500 subscribers who are really engaged if you have a small online business, and that can be what you need to help build your business or take it to the next level. And that isn’t really going to make a huge difference with where you show up on the charts. But it’s, “Can you get your show in front of the right people?” So I would think much more about that — your audience, your fit, and what format is going to give you the best return on the investment. And trust that, because the market is growing, those people will be there. You’ve just got to find the right fit in terms of your niche and your format to be able to attract them to your show. Jonny Nastor: Yeah. I feel like I want to say the same thing I said before this. To me, because lots of popular shows are very edited and long-form newsy, doesn’t make it … there’s a cause-and-effect issue. Jerod Morris: But they’re also expert storytellers, too. There is so much experience that goes into that, and work, and cost, and time. Jonny Nastor: Of course. So all I’m saying is, it’s not the editing that makes them really popular. These people came online with massive things behind them. Jerod Morris: That too, yeah. No, it’s because there’s distribution behind that. Jerod Morris: Yeah. That’s a good point. Jonny Nastor: So there’s two different things. Most of us are starting off without distribution. We’re using iTunes for distribution. But there are lots of people, most of them at the top, that come in with massive distribution behind them. You have to kind of think in those two different ways. If you want to look at storytelling, newsy, highly edited podcasts that aren’t popular, you can search them out. I’ve heard some amazing shows that literally get no downloads, and they’re beautifully edited. People who take 40, 80 hours to do an episode because they love to do it, and they want to. Either they’re using it for like a resume to maybe get a job at NPR one day or whatever it is, but they just want to tell these stories. They’re not popular. Again, it’s not because they lack the skills. It’s because they lack the distribution. Jerod Morris: Yeah. That’s a good point. It’s a really good point. 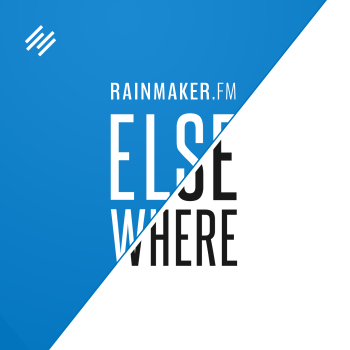 And speaking of good points, if you’re ready to see for yourself why over 200,000 website owners trust StudioPress, the industry standard for premium WordPress themes and plugins, then what you want to do is you want to go to Rainmaker.FM/StudioPress. And when you do, you will see this turnkey solution that combines the ease of an all-in-one website builder with the flexible power of WordPress. 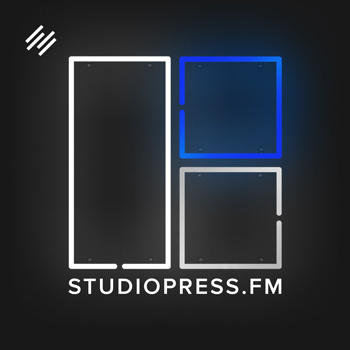 So whether, Mike, you want to start your everyman interview show or go to town and create the next This American Life, you can do that at StudioPress because it does cater to podcasters, as well as to bloggers and affiliate marketers. Plus, there are tools in there to help you sell physical products, digital downloads and membership programs. 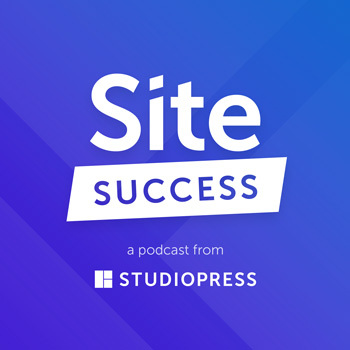 The bottom line is that if you’re ready to take your WordPress site to the next level, see for yourself, like I said, why over 200,000 website owners trust StudioPress. Go to Rainmaker.FM/StudioPress right now. I feel like that ad segue wasn’t nearly as natural as some of the others have been. Jonny Nastor: The one before this was brilliant. Jerod Morris: Felt a little more forced. Jonny Nastor: It was still good. Jerod Morris: A little more forced. Okay, so we’ve got a few more questions here. Let’s get to these. Jerod Morris: Jim asks us, “Skype interview — how to and the equipment needed?” So the basics here, obviously, you need to get Skype. If the other person that you’re trying to interview has a Skype account, then you can go Skype-to-Skype, and you won’t have to pay anything. If you are going to use Skype and call people on the phone, and I do this a lot at Podcast on the Brink, sometimes people if they’re on the go or if they’re just not that tech-savvy and haven’t used Skype, they haven’t done a lot of interviews, you may need to call them on the phone. You’ll actually have to pre-load Skype with a bit of money and your credit card because you’ll have to pay for that call. It can be, I don’t know, a few bucks a call, depending on how long the call is. But it’s typically worth it if the interview is worth doing. Then to record the call, the program that I use is called Call Recorder by ecamm. And so when you buy Call Recorder by ecamm, I think it’s $25 for a license. There will just be a little button that’ll pop up when you open Skype to record the call. You hit the red button. It’ll record. There are different settings, so you can record just the audio, the audio and the video. Then there is a suite of tools that comes with ecamm Call Recorder that allow you to convert the file. You get a .MOV file, and you can convert that to an .AIFF file or a .WAV file, whatever you need. And that’s the basics. It’s pretty simple. Skype does have some issues sometimes with connection. I was on an interview just a couple of weeks ago, and Skype just dropped right in the middle of it. And so I had to get back on with my guest and just had to edit that together. It doesn’t happen often, but it does happen. And there are other options. Skype is a good option, but if you want to use something like that, that’s free and simple, Google Hangout will work. I believe Zoom you can record with a free Zoom account. And there are services like Ringer that I believe actually allow you to record just through your phone. So there are several other options, but I think if you’re just getting started, Skype is probably the best one to begin with just because a lot of other people have Skype accounts, people tend to be relatively familiar with it, and despite some of the quibbles that we have with it, it’s mostly stable. I feel like saying that like threatens my own ability, calling Skype ‘mostly stable.’ But it is. It’s mostly stable, and it’s probably the best option to get started with. Jonny Nastor: Yeah, well, it’s mostly stable in the way that I am. Right now, as a disclaimer, I guess, we should say that we are recording this on Zoom. Jonny Nastor: We’ve been trying a bunch of different things, but Zoom is what we’ve recorded the last five or 10 episodes on. I’m still, even today, recording on Skype using Call Recorder by ecamm. The Call Recorder by ecamm software is about $25, I think, one-time payment. And Skype, in the last month or so, it’s been really, really acting up, but nothing that typically a restart can’t fix on the computer and on Skype. The only thing you have to watch where I have, actually a piece of paper up here now, is that it keeps wanting to drop my microphone and switch it to my laptop microphone at the beginning, throughout conversations, which is really frustrating. And nobody can seem to tell us why. But it gets a good connection, and for me and my guests, it’s the easiest, because most people know what Skype is. For Jerod and I, we do this stuff, so getting on to Zoom is really easy for us and setting our mics, video, and stuff. So it’s kind of what you want to do. If your guests are kind of savvy then or if it’s just a co-host you’re doing it with, then I would get used to Zoom or Google Hangouts like Jerod does. And if you’re using guests who aren’t really that savvy in this stuff, then I would stick to Skype and really check out Call Recorder. Jerod Morris: Take nothing for granted. I have done an interview on Skype with my microphone selected, everything was fine, and I had an interview like five minutes later. I didn’t check my settings again, and it recorded with my computer microphone. And I’m like, “What the hell.” Like I didn’t check it before every recording. I’m telling you, I have a little post-it that reminds me to do that. Take nothing for granted. 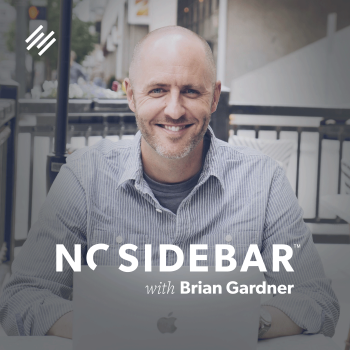 How Do You Relaunch a Podcast with a Bang After Taking a Year-Long Break? And I guess, my first question here, Samuel, would be, when you ended, did you call it ‘season one’ and say that you were taking a break? He put ‘season two’ in quotations, so I’m guessing he probably stopped, took a hiatus, didn’t necessarily call it, “This is season one ending,” so people might not be on that cliffhanger waiting for it to come back. There might not have been a date when it was going to come back. So my first comment here would be that if you are going to do this and you know that you’re going to do it in seasons, you can really set yourself up for success with season two by how you end season one. So as much as you can, set yourself up for success from the beginning. But I would say, even if you haven’t done that and you’re going to relaunch, I would not just put out this first episode of season two. I would build up some excitement for it. Ostensibly, you have an email list. You have an audience here. You have, obviously, subscribers still to that podcast. So depending on what your format is … for instance, we couldn’t do this with The Assembly Call because it’s a live postgame show. It needs a live event to take place. But for The Showrunner we could do this, or Jonny with Hack the Entrepreneur could do this, where you could prerecord a bunch of interviews. Maybe prerecord your first 10 episodes. I’ve seen people actually put together trailers of an upcoming podcast or of an upcoming season. And so you could say, we’re recording this on May 2nd, so you could say, “Coming July 1st,” the second season of … oh what is Samuel’s show’s name? Self-Confidence … something Self-Confidence. I’m blanking on it, but Jonny’ll find out. Jerod Morris: Yeah, Samuel, we forgot. So you put this trailer out. Then you’re like, “Season two is coming in July,” and you give people some little snippets. So you can do an audio version of the trailer in your podcast feed, so people are like, “Oh, look, this show is back.” And then they listen. It’s like a little five-minute trailer, and now they’re kind of excited for when it’s going to come back out. You can then do a video version of that on Facebook and maybe pay for a little bit of advertising to it. And the nice thing is, you’ve already got your feed, so people can go subscribe. Probably I wouldn’t do it as far out as July. I would maybe put the trailer out a couple weeks prior so that there isn’t that long of a wait. Or maybe if your show’s going to be every week, do two trailers. One two weeks before, another one week before, and then get the first episode out there. But do something to re-engage your audience, re-engage your list, let them know it’s coming, have a little bit of fanfare. Get people excited, as opposed to just, that first episode just dropping. Like I just saw a trailer for the next season of House of Cards, and that has got me excited for when House of Cards comes back at the end of May. So doing that, just kind of build that impulse and re-engage folks, is a great way to have success with your next season. Jonny Nastor: It is Courageous Self-Confidence. Jerod Morris: Hey, so Samuel’s already on top of it. Okay. Very nice. Jonny Nastor: So this was planned. For the most part, everyone who downloaded that last episode is still subscribed to you. And so you need to just get them excited about the new stuff coming, and then launch it. And when you end season two, again, make sure you end it like you did season one because that’s the right way to do it. Jerod Morris: So if you’re listening to this, and you are because you’re hearing these words … that’s really a dumb thing to say. I’ve got to stop saying that phrase, ‘If you’re listening to this.” Why would you ever say that on a podcast? Just, there’s a little tip for you. Don’t ever say, “If you’re listening.” I need a shock collar for the next time I say that. Go subscribe to Courageous Self-Confidence by Samuel P. Hatton because it’s a great show, and you should be listening to it. Jerod Morris: Jonny, we got one more question left. You want to read this one? Jerod Morris: No, “ask a potential sponsor,” not as a potential sponsor themselves. Jonny Nastor: “Ask a potential sponsor,” right. Jerod Morris: Yeah. I have some thoughts, but I’d be interested in what you have to say. 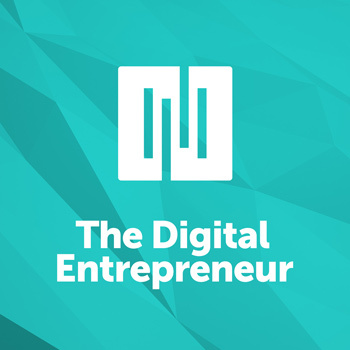 This is kind of similar to where you were with Hack the Entrepreneur when you started and went out the door, before your show had even started, with a sponsor — which I think is more representative than the experience that I’ve had. Jonny Nastor: Right. The place to start with this is, we’ve said this a hundred times, and we’re going to say it again, to think of it like a partnership. It’s not just selling one ad spot necessarily, especially with a new blog, a new podcast, and a new audience around it. There’s a couple things you need to know. Usually, these things are kind of sold on a CPM basis, which is cost per thousand. That’s your thousand downloads from the date of publish six weeks out. 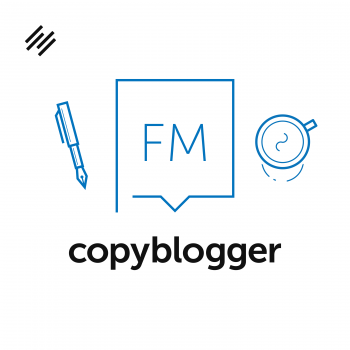 If you’re a new podcast and a new blog, then you might not have big numbers, so you have to try and sell it as this partnership and include other things you can include. So other things can be links in your show notes that they sponsor. Maybe a sidebar ad. Maybe you could write an article about them on your site. Or if you have a newsletter, you could link to them at the bottom as a sponsor. Whatever it is, any sort of assets you have, think of ways you could include them in a beneficial way to the potential sponsor. Kind of put together, aggregate all of that, and then you have to put together a pitch. The pitch can be everything outside of your podcast, what it can include. Then you need to know that podcast advertising is typically done in sort of three places. So there’s the pre-roll, which is typically about 15 to 30 seconds before the podcast starts. There’s the mid-roll, which is about 30 to 60 second ad, to 90 second, depending, somewhere within the first 50 percent of the length of the show, so somewhere midway or a bit sooner. And now, sometimes there’s also this outro. So as you’re sort of winding down the show, you could just briefly mention the offer and the URL again. The way you want to come in sort of confidently is not only put together a good package and a good offer for potential sponsors, and make it look good and make it of value to them, but you also want to come in knowing a couple things. Ads on podcasts that feature a special coupon code or a custom URL — so think FreshBooks.com/Hack, ActiveCampaign.com/Hack, or Rainmaker.FM/StudioPress — those are unique URLs, or coupon codes, that allow your sponsor to track ROI, which is return on investment, so that they know if they spend a dollar with you, and they make a dollar back, or they make two dollars, or they make five dollars, they know how much more they want to spend with you. If you don’t have these things set up … another thing is that it doesn’t give sort of an urgency to your listener because it’s like, “Well, I can just go to StudioPress any time.” But if you’re offering a special discount or a deal right now for this special URL, it incentivizes your listener to take action now, which then makes a sale for your sponsor. So if you can come in with these things to a sponsor, the sponsor knows you know what you’re talking about. They know that you’re thinking of them and their best interest, which is them getting a return on their investment — which should always, always, always be your focus. And I think that’s about it. The rest of that is really just, because you don’t just have that cost per thousand, you just don’t have 100,000 downloads an episode, 10,000 downloads, or maybe even 1,000 at this point, that doesn’t mean you can’t put together a really enticing package for sponsors. Once you have that package, like make it look good, this is a sales process you have to do. Then I would go to shows that are related in your marketplace, and I would look at who their sponsors are. Make a list of those people, and start reaching out to them. Sometimes on those people’s sites, the sponsors’ sites, you can find, down in the footer, ways to contact them, sometimes even places to contact for sponsorships. Then find the person you need to reach out to, make that introduction, and send them you’re proposal. Tell them what you are willing to do, and how you want to create a medium- to long-term relationship out of this, not just a one-off, and they’ll be way more likely to want to listen to you. But it’s really crucial that you focus on their return on investment, you put together that good package, and then you really target the right sponsors so that they can make money from spending money with you. Jerod Morris: That’s a great answer. I don’t really have a whole lot to add to that. Jonny Nastor: I remembered that whole thing. That was pretty good. Jerod Morris: That was really good, yeah. I think the one thing to look at, John says they produce a personal finance blog as a side hustle, so if you’ve got 100,000 email subscribers and you’re getting ready to launch a podcast, you can be fairly well certain that you’re going to have some downloads. And you would be able to charge a little bit more. That’s going to depend. 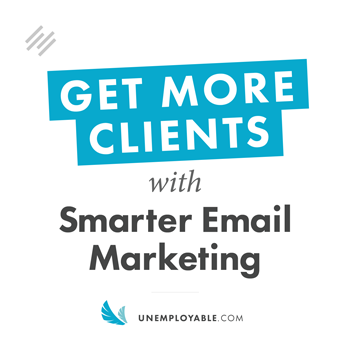 If you’re new, you’ve got 100 email subscribers, and you’re starting a podcast, you don’t really have a lot to promote there. So a lot of it’s just going to depend on what kind of built-in audience you already have. I can tell you we got our first sponsor on The Assembly Call I think three seasons in. That was SeatGeek, and they actually reached out to us. They were paying us $50 per episode. Now, I think at that time we had probably somewhere between 2,000 and 3,000 downloads an episode, I think. Something like that. And they were paying us $50. And then — again, thinking about it as a partnership — we also added a link to SeatGeek in our weekly newsletter as well. And that was kind of part of it, a little bit of an enticement that was really easy to do because it’s all part of the template, so it’s not hard. But that also doesn’t mean that you want to sell yourself short. That’s still valuable, so you shouldn’t just throw it in and not think that it adds to the value. It certainly does. But those are the kinds of things that you can do, especially when you don’t have a whole lot of downloads, to help make a partnership with you seem more enticing. So if you follow that advice, you’ll be in good shape. Jonny Nastor: Right, and sometimes in cases like this, I’m way more giving on the first sponsor or maybe even the second. Then you have a track record. Because then companies see, like “Oh, this show is sponsored by this and this.” Getting that first one is the hardest. It’s the hardest sale of any of it. Then when you start getting a track record, then you can slowly move your prices up. So you want to think sort of longer term. Don’t just think about right now. 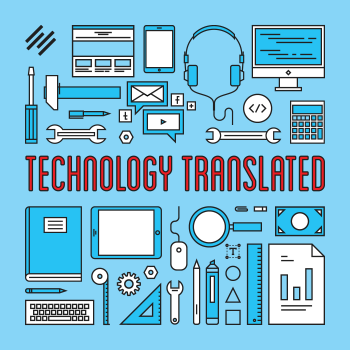 Think about in the long term and how to make your lives easier as podcasters going forward. Jerod Morris: Absolutely. Well, thank you for the questions. We are going to continue doing this format because we love answering your questions. And we love it when you send us emails, too. And a lot of times those emails become episodes. If you have questions, you may see them now show up in Q&A episodes, so feel free to email us. And the best way to do that, and the way to ensure that we see your email, is actually to get on our email list. And so if you go to Showrunner.FM, and you enter your email address, you’ll get our weekly update, which lets you know about the new episode when it comes out. And you can reply to any of those emails, and it will go directly to me and Jonny. That way we can read it and respond, and we always reply to everybody who emails us. And again, we love hearing your stories. We love seeing your questions, but you also get a lot more than just our weekly email and the ability to send us an email. You also get the free, nine-step Beginner’s Guide to Launching a Podcast. You’ll get that immediately. And that’ll teach you how to define your audience of one and pick your format. You’ll learn six paths to podcast monetization — a lot of really useful stuff in there. 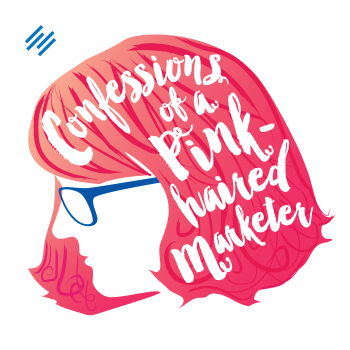 And you also get a really insightful autoresponder series that’ll ask you some interesting questions. Maybe tap into some things that maybe you’re afraid of, that are preventing you from getting going, and some other things. And we’ve gotten a great response from that, from people who have said that, that has really helped them move forward and answer some big questions they’ve needed to answer. 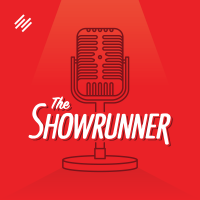 So go to Showrunner.FM, get on that email list, and if you’re not there yet, now is the best possible time to do it because you can get on board right after episode 100 and be with us for the rest of the journey to 200, 300, and beyond. I had a lot of fun doing the first 100, and I don’t plan on stopping anytime soon. Jonny Nastor: Nice, this was cool. Jerod Morris: This was cool. Jonny Nastor: Episode 100. Phew, phew — it was good. I don’t know what else to say to this. Jerod Morris: Join us for episode 101. We’ll be here next week. Jonny Nastor: Oh yeah, there it is. It’s so much less epic though. Well, yeah, you’ve listened till this far so … just let me say thanks for sticking with us. No matter how many episodes you’ve been with us, whether it’s one, it’s 100, or it’s somewhere in the middle there, it’s really cool that you take the time to hang out with us once a week. We do appreciate it, and if we do miss some of your emails sometimes, just reply again maybe, remind us. Sometimes we get busy. Or track us down on some sort of social media like Twitter or Facebook. We do like to answer your questions. We do like to engage with you as much as we possibly can. Thank you. Jerod Morris: We do, we do. Thank you, and we will talk to you next week.